Dance Informa is the industry's online dance magazine and news service. Totally online, always up to date and totally free! Get the dance information you need at your finger tips. 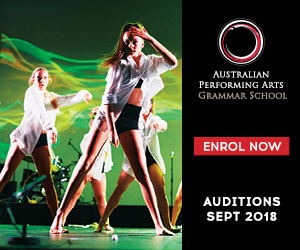 Enjoy the latest dance news, audition information and dance event listings as well as interviews with the industry’s leading Dancers, Choreographers and Artistic Directors. 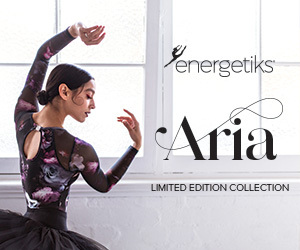 Every edition has great giveaways including free tickets to shows, classes and workshops plus free dancewear and accessories. DanceInforma.com is the home of helpful dance directories, job listings and a teacher database. Dance Teachers can also enjoy teaching resources, tips and information. Dancers can also benefit from an archive of health and advice articles. Dance Informa is the home of dance online. 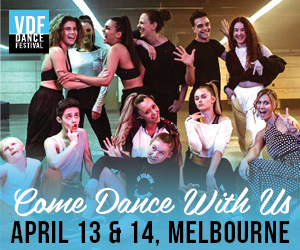 Established in 2007, Dance Informa already has the largest dance magazine circulation in Australia with a growing readership in the US and abroad. Dance Informa is produced and written by dancers, dance teachers and Artistic Directors from across the world with a passion for dance and the arts. Dance Informa aims to better inform, equip and inspire dancers to reach their full potential. All material included in Dance Informa is provided in good faith. It is derived from sources believed to be accurate and current as at the date of publishing. Dance Informa Pty Ltd and Dance News International LLC does not take responsibility for any information deemed to be incorrect. Dance Informa online magazine and website are produced by Dance Informa Pty Ltd and Dance News International LLC. Any opinions presented in any of these media are not necessarily the opinions held by Dance Informa Pty Ltd or Dance News International LLC and its employees. Dance Informa emails and any attachments are intended only for the use of the addressee. If you are not the intended recipient please contact Dance Informa via info@danceinforma.com. Dance Informa Pty Ltd and Dance News International LLC does not warrant that its emails and any attachments are secure and there is also a risk that they may be corrupted in transmission. It is your responsibility to check any attachments for viruses or defects before opening them. If you have received this transmission in error, please contact Dance Informa at info@danceinforma.com and delete it immediately from your system. We do not accept liability in connection with computer viruses, data corruption, delay, interruption, unauthroised access or unauthorised amendment. All audition, event and directory listings are provided as a service to the dance industry and are provided in good faith. They may not be accurate at all times and we suggest that readers contact the organisations directly before attending an event or audition to make sure that times/dates or other details have not changed. Although our best attempts for accuracy are made, Dance Informa Pty Ltd and Dance News International LLC does not warrant that all listings are correct. Teacher and Choreographers Directory: Dance Informa Pty Ltd and Dance News International LLC takes no responsibility for any spam/calls that could result in your listing and does not guarantee that teaching or choreography work will result from your listing. Dance Informa's Teacher and Choreographer Directories are merely a tool designed to help dance teachers and choreographers promote themselves to Dance Studio Owners or Artistic Directors, and to assist Studio Owners/Artistic Directors to find appropriate teachers/choreographers. The information provided by the teachers and choreographers is published in good faith. Dance Informa Pty Ltd and Dance News International LLC does not guarantee that the information is correct. Please contact each teacher/choreographer for further information and proof of experience/qualifications. If you would like to unsubscribe from Dance Informa just email info@danceinforma.com with subject: UNSUBSCRIBE. At Dance Informa/Dance News International, we respect your right to privacy and we understand that users of the Dance Informa/Dance News International Website need to be in control of their personal information. Personal information includes, but is not limited to, name, address, telephone number, email address and credit card information. Dance Informa/Dance News International does not sell, rent, swap or otherwise disclose any of this information. Applications on the Dance Informa/Dance News International Website may require users to register or to provide personal information in order to make a commerce transaction, to enter a contest, or to subscribe to our digital dance magazine. Such personal information is not shared or sold to third parties. To better understand the needs of our Website users, we also request demographic information. Entry of such information is optional and if you choose not to enter such information, you can successfully use these applications. If we request demographic information, we will not share information about you as an individual with any other entity. If we do share demographic information with third parties, we will give them aggregate information only. If you provide your email address, Dance Informa/Dance News International will contact you with our online dance magazine, special offers, updated information and new services. Any emails sent to you by Dance Informa/Dance News International offer you the option to be removed from the email mailing list. Dance Informa/Dance News International may occasionally present a special contest or promotion on its Web site that is sponsored by another company. To qualify for entry, we may ask you to provide personal information. If we plan to share that information with the sponsor(s), we will provide a statement to that effect. Dance Informa/Dance News International will protect any personal financial information that you share with us. If you make a purchase online, we will use your credit card number only to process your payment and will not use it for marketing purposes. For reasons of security, credit card information is not stored on our Web server. We will retain order information for our records, but this information is never shared with third parties. This website is not directed to children or intended to be used by children under age 13. We do not advertise to children or solicit personal information from children and we never intentionally release the names of children to third parties. All information posted by users is moderated and any personally identifiable information is removed before it is posted on our site.